I'm taking a break from my Zoya Ornate posts today to show you a polish from a new to me indie brand, Vivid Lacquer. 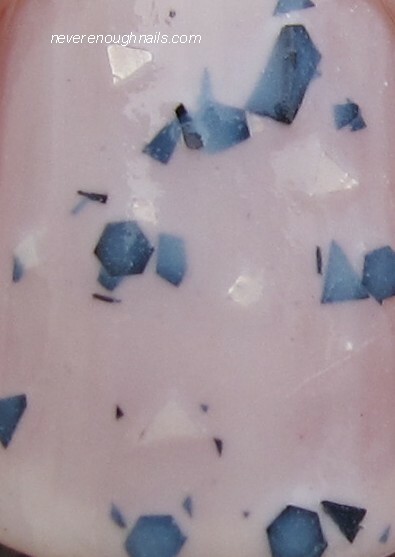 This tasty treat is Vivid Lacquer Cookies and Cream, a creamy white jelly base with irregular shaped pieces of black and white glitter. This really does remind me of cookies and cream ice cream, yummmmm! I also really love the black kitty on the Vivid Lacquer label!! This applied pretty well, the white base was nice and even, no streaks. This is three coats and I was pleased with the coverage. The glitters needed a little coaxing out of the bottle, but nothing too strenuous. This is a mini size too and I really had no trouble with the size of the brush. 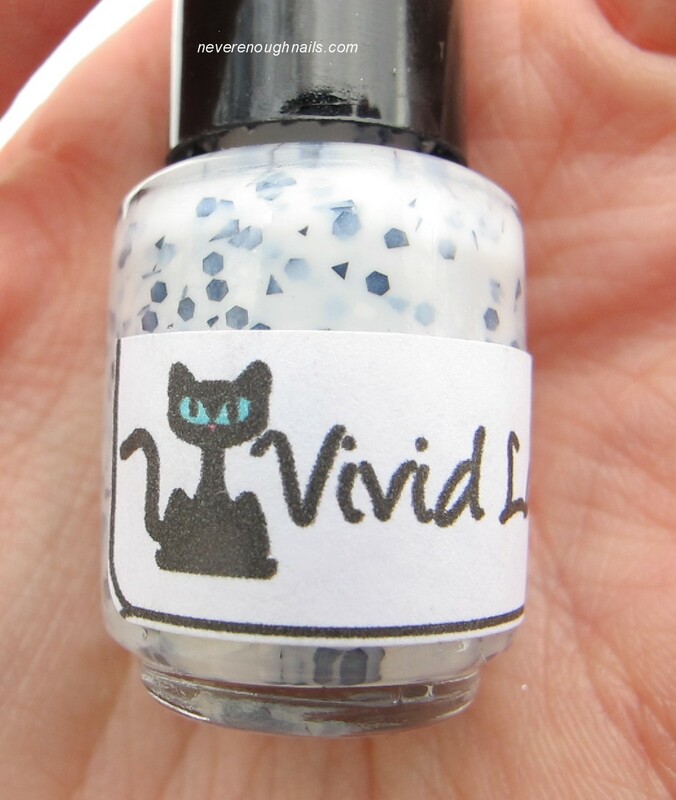 I got this mini bottle in an Indie exchange box I participated in, and I don't see Cookies and Cream on Vivid Lacquer's Etsy shop right now. She does make custom polishes though, so I'm sure you could request this one! Interestingly enough, she also sells stamping plates! I think I'll have more Vivid Lacquer here, so keep an eye out! I thought it looked yummy! :) thanks nicnacksnails!